IP-based stageboxes provide an efficient and versatile solution for remotes. Networked modular audio stageboxes have been around for a while and were hailed as a convenient alternative to clunky snakes and the huge patch bays that came with them. Unlike analog stage- and wallboxes, which usually only transmit signals to fixed locations or else require intricate and time-consuming cabling, they simplify connections and provide flexibility with respect to the I/O types. Modular solutions by some manufacturers rely on a proprietary protocol, operate on network Layer 1 (Data) and require custom- built “switches”. The network connection is thus chiefly used to simplify cabling. They support point-to-point connections, daisy chaining, and sometimes ring topologies. Examples are SuperMac (AES50), A-Net Pro16/64 (Aviom), RockNet (Riedel), Optocore, and MediorNet (Riedel). Solutions by other manufacturers operate on Layer 2, i.e. the Data Link level, which supports node-to-node data transfer. These are again proprietary systems that mostly utilize the Ethernet infrastructure and support structured topologies (star/ tree). Some of them are limited to daisy-chain or ring topologies, and the network size is limited to the LAN segment. Examples are CobraNet (Cirrus), EtherSound (Digigram), Hydra2 and SoundGrid (Waves). Layer 3 is where things become interesting: this is where Audio- over-IP (Internet Protocol) becomes possible. Audio and video devices operating on this layer no longer require a fixed network structure and consider the entire infrastructure a black box that transports signals. As long as the network’s edge devices stay online, the network structure is of little importance. IP paths can be partially or completely restructured and added at will, the bandwidth can be increased simply by adding more audio channels, and new nodes can be added without reconfiguring the existing ones. Examples are Livewire, Wheatnet-IP, Dante (Audinate), N/ACIP (EBU), Q-LAN, AES67 and RAVENNA. Figure 1. Setup based on a modular stagebox design: some cable runs to/from the stagebox need to be rather long. Units with a bay structure can only be expanded up to a point. IP networked stageboxes may still look like traditional stageboxes, but they nevertheless offer a more sophisticated feature set. AES67/ST2110-30-compatible solutions allow audio professionals in the broadcast, sound reinforcement and other areas to send a virtually unlimited number of channels of full-bandwidth, uncompressed audio to any edge device on the network. Figure 2. Modular stageboxes offered by a variety of manufacturers. IP-based compact stageboxes allow users to do more with less, and—depending on the underlying concept—enable multiple signal splits without any additional hardware. Stageboxes using AES67/SMPTE 2110 as a backbone can indeed transmit in multicast mode, causing the connected IP switches to preserve all available audio signal splits. This may even be beneficial for complex live productions involving ensembles and choirs in different locations, for instance. Figure 3. Compact stageboxes can be positioned close to the sources and/or destinations. Until all slots and connectors are used, modular stageboxes are a flexible solution for broadcast and other applications: users can access audio data on the network from several devices over a single connection. Most available models support remote parameter editing over the network and offer functions for concurrent usage of a given input signal as standard. This makes life easier when several operators use the same signal for different purposes. Networked stageboxes (or model variants of a given range) generally support a variety of audio formats, including analog, AES3, MADI and SDI. Wherever this makes sense, forward- thinking manufacturers already build parts of this flexibility into other units. Both video and audio based on SMPTE 2110 support a common exchange format for their essence data, which makes dedicated handover points—like SDI gateways— between audio and video systems obsolete. Lawo, for instance, has chosen to relocate SDI embedding/de-embedding to their V line video I/O nodes, i.e. the devices to which SDI-based gear is naturally connected (AES67/SMPTE 2110-30). From this logical entry point, the audio essence is shared with the audio devices connected to the IP network, with no need for additional SDI gateways inside audio stageboxes. This approach offers a big advantage: if any signal can originate from anywhere and is accessible to everyone on the network, why handle a given SDI signal twice in order to leverage the resulting video and audio streams in different places? Netiquette on AoIP networks is obviously not the issue here. What really counts is flexibility. Ideally, scaling the channel count on short notice should simply be a matter of connecting additional IP stageboxes anywhere on the network, right where they are needed. The next step for IP networks will be to reconsider other “time- tested” approaches. As stageboxes/interfaces can be connected just about anywhere on the network and therefore offer infinite scalability, modular stageboxes no longer need to be deployed everywhere on the network. This has led some manufacturers to reconsider what IP-native networked devices can be, based on the power offered by an IP infrastructure: they can be virtual modules connected to an “IP backplane” whose capacity equals the size of the network. Signals can be transported directly from a sender to a receiver without additional codecs or gateways or intricate settings. Figure 4. Setup based on compact stageboxes: cable runs to/from each stagebox can be short. More units can be added as necessary. Another aspect to consider is redundancy as a safeguard against downtime due to broken or faulty connections. Although this approach has been around for some time, it used to be limited to the products of a given manufacturer, leading to a lock-in professional users no longer find acceptable. Thanks to the ST 2022-7 standard, the redundancy strategy for audio and video devices can now be manufacturer-agnostic. There is an even more important benefit: redundancy based on ST 2022-7 works even on a wide-area network, treating all devices, near and far, as equals, which no proprietary redundancy strategy is able to provide. For the most advanced IP stageboxes, networked operation is no longer restricted to one location or campus. Those supporting WAN operation can be thousands of miles—even continents— apart and still talk to one another with stunning fluidity and in frame-perfect sync. All signals are available anywhere on the network. And the network can easily span the globe. The power of IP-based stageboxes lies in the fact that streaming over a wide-area network is a native feature that can be combined seamlessly with LAN and campus streaming. Ultimately, this flexibility only depends on the wide-area network’s performance, i.e. link types: broadly speaking, physical links provide the best performance at the highest cost, while packet-routed links provide the least performance for the lowest cost. With the exception of links that do not support uncompressed streaming conforming to SMPTE 2110, audio I/O nodes can safely be connected to one another without any additional WAN gateways or bridges. 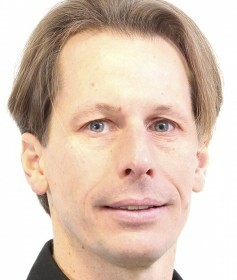 At the EBU Network Technology Seminar in June 2018, the German public broadcaster ARD explained why their audio contribution network was based on AES67 with RAVENNA: extensive tests had revealed that AES67/RAVENNA travels well over WAN, while other protocols do not (“ARD Audio Contribution Network”, Andreas Metz). Given the growing momentum of IP remote productions, cutting- edge stageboxes are already expected to support WAN operation, so that audio signals captured in Perth, for instance, can be mixed and produced in Sydney, LA, or Berlin. Other benefits of an WAN-savvy setup in a remote production scenario include lower real-estate and production costs, better serviceability, near-permanent availability of the most talented operators, the comfort for most operators to work in a familiar environment, significantly lower travel expenses, and a highly flexible utilization of the available studio infrastructure, with galleries whose functions can be configured for the task at hand at the press of a button. And that includes reserving (“checking out”) the devices that will be used by that operator. In the light of the above, a smart investment strategy necessarily leads to the conclusion that newly purchased stageboxes will have to provide WAN operation as standard. And not just for the broadcast world: live productions that need to service broadcasters or live recordings also benefit from this approach. As budget control plays an increasingly important role in the broadcast world, decisions regarding the acquisition of new gear need to be based on flexibility, more specifically the liberty to choose the best option for the task at hand irrespective of the manufacturer, and versatility of the production facilities, which allows broadcasters and broadcast facilities to save on real-estate cost. If a given workstation can be used for graphics, editing, post-production, etc., there is no need for separate workstations that are used less than half the time. IP-based stageboxes are straight-forward to use and ready for infinite scalability of a network. This new breed works with a huge, infinite, backplane: the entire IP network. Fieldbox/stagebox devices that operate on a native IP level do their job without codecs or gateways. They support WAN scenarios for intercontinental resource pooling and they support the ST 2022-7 redundancy approach. These features turn them into go-to solutions for the broadcast industry—no matter how complex the production at hand. Expect the future to be WANtastic! Andreas Hilmer, Director of Marketing & Communications at Lawo.